One of the major markets in Western India Mumbai was surveyed and the data on product mix, arrivals, system of marketing of loose flowers, cut flowers, exotic flowers, cut greens was collated. The Dadar market in Mumbai is an unorganized market that opens at 3.00 am and concludes at 7.30 am mostly on the pavements on either side of the main Dadar road. The market has no infrastructure in place except for few cold storages with the exotic flower importers. 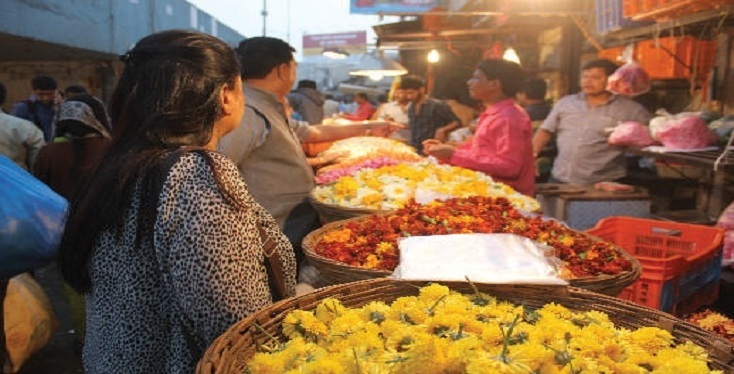 The loose flowers, cut foliage, fillers, value added floral products like garlands and veni are sold in the open on the pavements in an unorganized market. Data on month wise and area wise arrivals of different flowers were recorded. 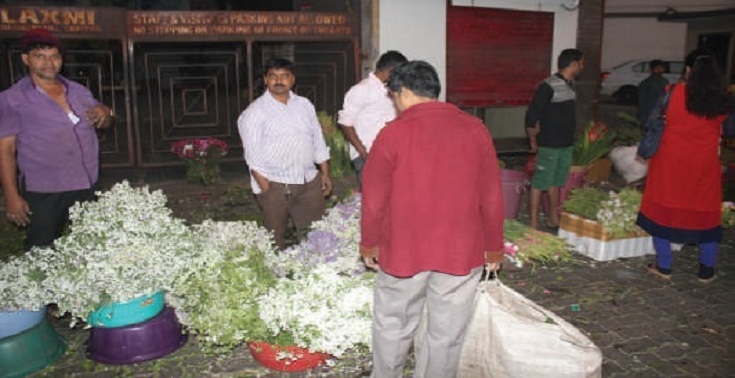 The loose flowers arrive from Thane, Sangali, Satara, Pune, Ahmednagar, Junnar, Ambegaon, Maval, Alandi, Daund, Karjat. While the cut foliage mainly comes from Thane, Nashik, Badlapur, Neral, Karjat, Lonavala, and Pen. The cut flowers Pune, Satara, Lonawala, Talegaon-Dabhade, Satara, Lonawala, Sangli, Mahabaleshwar, Alandi and Ahmednagar.